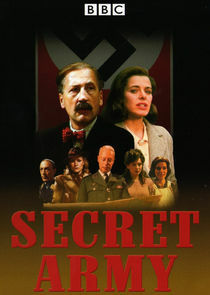 Secret Army is a television drama series made by the BBC. The series tells the story of a fictional Belgian resistance movement during the Second World War dedicated to returning Allied airmen, usually having been shot down by the Luftwaffe, to the United Kingdom. The series was made in the UK and Belgium and three series were broadcast on BBC1 between 7 September 1977 and 15 December 1979.